When I was in high school I had a sweet-a** cafeteria that had offerings like ramen (not the 68-cent stuff, massive bowls of noodles, veggies, and pork), curry with beef, mashed potatoes and gravy, fried fish, and spaghetti with meat sauce. Wanna know the weird thing? It was all good. Really good. One of my favorite things that the cafeteria offered on a weekly basis was ginger chicken. Whole, bone-in, skin-on chicken breasts were simmered for hours in a thin fresh ginger-soy sauce and it. was. amazing. Everyone loved ginger chicken day! 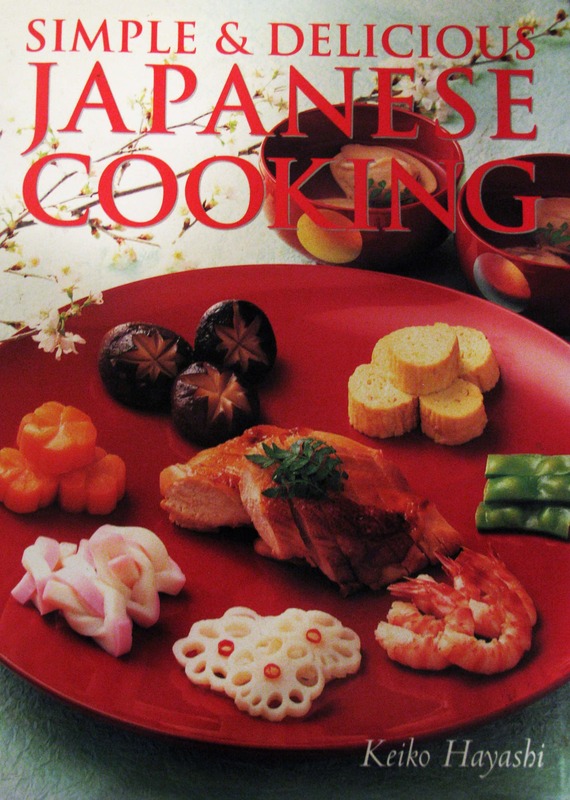 I, uh, borrowed this sweet Japanese cookbook from my mom – she took a cooking class from the author when we moved to Tokyo and learned to make some fabulous dishes from it! I use it often, and the ginger pork recipe is one of my favorites – I’ve used it on chicken too, and it tastes just like high school! I’ve noticed since moving back to America (I lived in Japan for 4 years and think I”m Japanese about 97% of the time), I noticed that Asian Salad, Sesame Chicken Salad, or some variation of the former appear on a wide variety of restaurant menus from Wendy’s to upscale fusion restaurants. Some of them are great, some of them are gross. 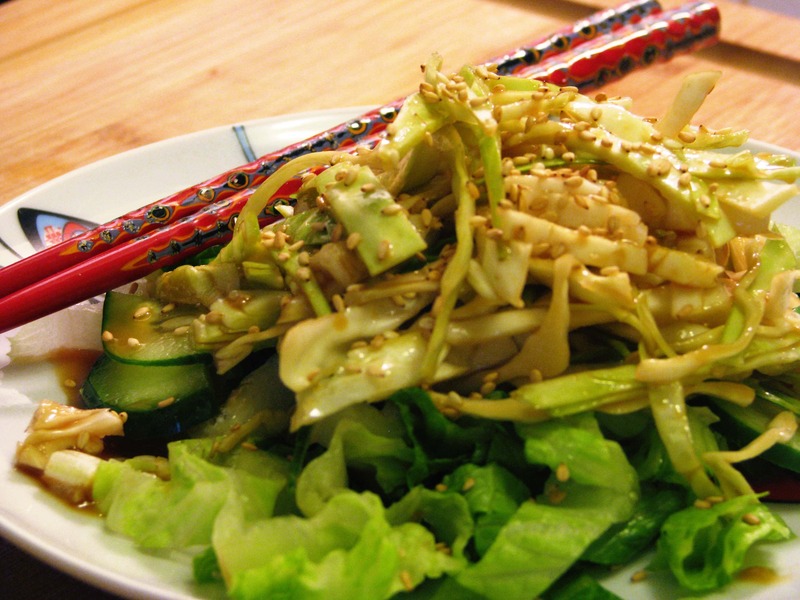 I made this salad last night using a dressing that I believe has the good qualities of a generic soy-based dressing without any of the bad (read: chemicals, sugar, anti-caking agents, animal parts) ingredients from restaurant versions of this salad. This is a veggie-only presentation, but throw some grilled chicken on this bad boy and call it a meal!